The vehicles in Honda’s all-wheel drive lineup are proof that you don’t have to compromise when you’re searching for a new SUV! That’s great news for Mid-Michigan’s drivers, who require vehicles that are ready to meet any challenge. 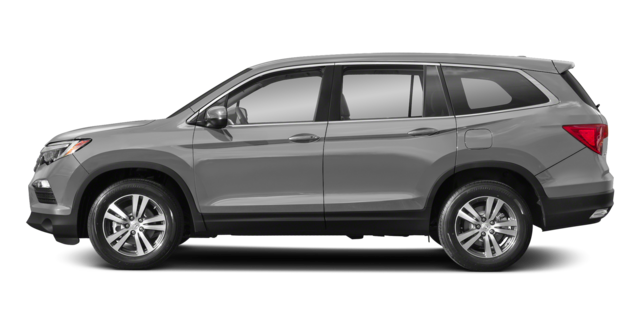 Those in the market for a three-row crossover will be glad to learn that the 2019 Honda Pilot’s standard features offer comfort, convenience, connectivity, and a whole lot more—no matter which of its five trim levels you settle on. This celebrated vehicle has long been a favorite with our friends and neighbors, and the experts at CNET’s Roadshow blog have declared that this year’s model offers “just the right blend of sugar, spice and everything nice that midsize crossover shoppers want.” We’ve broken down some of the highlights in this SUV’s LX, EX, EX-L, Touring and Elite packages in space below, so read on to find out which Honda Pilot trim level is the right fit for your lifestyle. 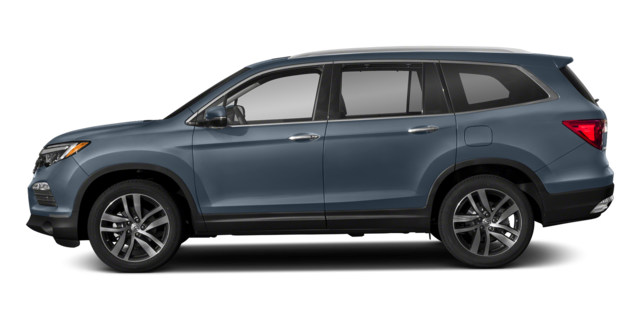 The Honda Pilot’s baseline LX trim level is priced at just $31,450 MSRP* (2WD 6-Speed Automatic). Driver Visibility: Headlights may not be the first thing you consider when you’re choosing a new vehicle, but they certainly shouldn’t be overlooked! Every Pilot includes LED Headlights with Auto-On/Off, LED Daytime Running Lights, and Automatic High-Beam Headlights, so you’ll enjoy superior visibility at all times. 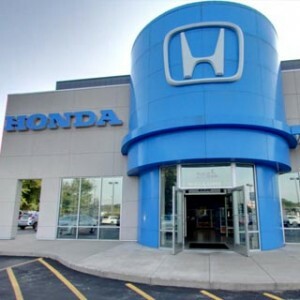 Honda Sensing Safety: This year, Honda is offering the Honda Sensing safety package as a standard feature on every trim! This celebrated suite of technologies includes Adaptive Cruise Control with Low-Speed Follow, a Lane Keeping Assist System, a Collision Mitigation Braking System, and a Road Departure Mitigation System. 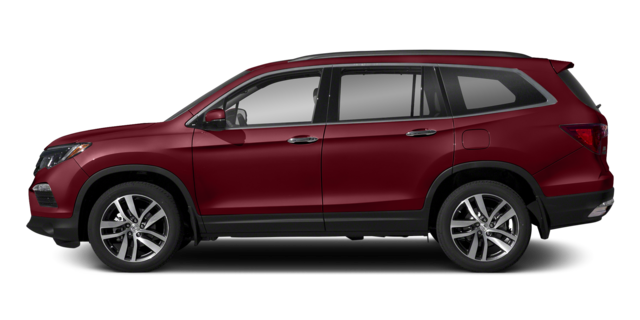 Available All-Wheel Drive: Although the Pilot’s Intelligent Variable Torque Management (I-VTM4) All-Wheel Drive System is only a standard feature on the Elite trim level, it’s an optional upgrade even in the baseline LX! The system tracks each of your wheels, and whenever it notices a loss of traction at one point, it instantly transfers power to the wheels that can keep you moving forward. Drivers who upgrade with the Pilot’s EX trim, priced at $34,330 MSRP* (2WD 6-Speed Automatic) will receive a host of features sure to make their daily drives easier and more enjoyable. Limitless Entertainment Options: An 8-Inch high-resolution Display Audio touch screen comes standard on the EX trim and up! Using this simple interface’s button tiles, hard keys, and volume knob, you’ll be able to access a wide array of entertainment features that includes Apple CarPlay, Android Auto, and Sirius XM Radio. Blind Spot Information System: Most SUVs require drivers to turn in their seats in order to check their blind spots. The Pilot’s EX trim makes things a little easier by including a Blind Spot Information System and a Rear Cross Traffic Monitor, which automatically alert you when another driver is moving into your immediate periphery. Ease-of-Access: EX models feature Remote Engine Start, Smart Entry, Walk-Away Auto Lock, and even One-Touch Second Row Seats, so it’s easier than ever to start your journeys. Once you’re loaded up with passengers, you’ll be able to activate this trim’s easy-to-use Tri-Zone Automatic Climate Control feature. The upgrades included with this trim make it even easier to load up cargo in a hurry, and to keep all your passengers satisfied once you’re moving down the road. The EX-L is priced at $37,760 MRSP* (2WD 6-Speed Automatic). Two-Position Driver’s Seat Memory: Finding the perfect seating position can take time—especially if you have more than one driver in your family. This Two-Position Memory function saves your preferred seating and feature settings, and lets you resume them with one touch when you get behind the wheel. Power Tailgate: When you can open and close your tailgate by pressing a button on your key fob, you’ll save time and energy every time you load up your Pilot with cargo. Hands-Free Access technology—standard on Touring and Elite models—lets you perform the same functions by passing your foot beneath the rear bumper. CabinTalk PA System: You’ll be able to cut through the noise with the Pilot’s CabinTalk PA System. With just the press of a button, you’ll be able to speak directly into the headphones of passengers connected to your audio and entertainment systems. Those who upgrade to the Elite trim will be able to send their voice over their Pilot’s speakers. Passenger Comfort: Upon upgrading to this trim level, you and your passengers will be able to take advantage of Integrated 2nd-Row Sunshades and three rows of Leather-Trimmed Seating. These features can easily transform long drives into miniature vacations. 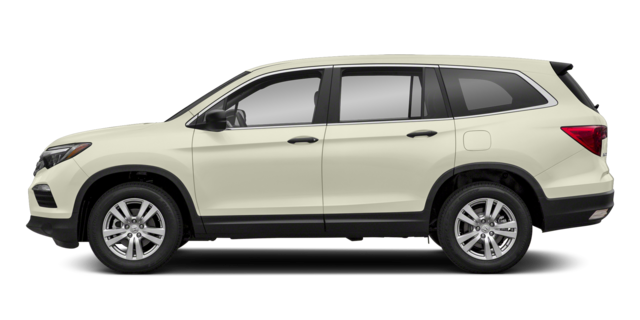 Pricing for the Pilot’s Touring trim jumps to $42,520 MSRP* (2WD 9-Speed Automatic), but drivers can rest assured: this model includes all of the high-end connectivity and entertainment features that SUV drivers increasingly demand. 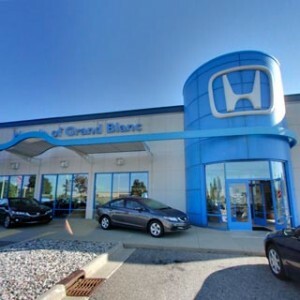 Satellite-Linked Navigation System: HD Digital Traffic information, predictive local search, 3D viewing, and turn-by-turn directions are just a few of the advantages offered by Honda’s Satellite-Linked Navigation System. When you’re on the move, you’ll be able to direct this system using its Voice Recognition capabilities. Blu-Ray Rear Entertainment System: Drivers who upgrade with the Pilot’s Touring trim will be able to offer their passengers a standard Blu-Ray Rear Entertainment System! When those seated in the back seats are happy and satisfied, you’ll be able to relax and focus on what really matters. 590-Watt Premium Audio System: The Elite trim’s 590-Watt Premium Audio System is composed of no fewer than ten speakers, spaced out evenly around the entirety of the cabin. Those who upgrade one step further to the Elite trim will be able to improve their experience with standard Multi-Zone Audio. 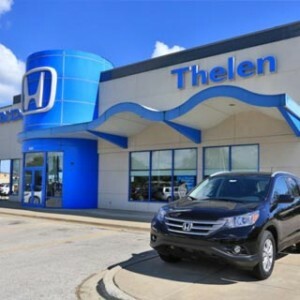 Drivers who won’t settle for anything less than the best will be thrilled at what they find in the Honda Pilot’s high-end Elite package, with a price of $48,020* (AWD 9-Speed Automatic). This model pairs high-end comforts and ambience with conveniences that will satisfy all your passengers. A More Luxurious Cabin: Every inch of the Elite Pilot’s cabin has been designed to leave you feeling more-than-satisfied. These models include a Panoramic Roof, Heated 2nd-Row Captain’s Chairs, Heated and Ventilated Front Seats, perforated leather trimming, and even Rain-Sensing Windshield Wipers. Wireless Phone Charger: Keeping a full charge on your handheld devices becomes a whole lot easier when you upgrade to the Honda Pilot’s Elite trim. This package adds a wireless phone charging panel near your vehicle’s center console, so when you’re running low on battery power, you can simply set your phone down and let the Pilot take care of the rest. Mobile Hotspot Capability: You shouldn’t have to give up your connection to the outside world every time you get on the road! When you transform your Pilot into a mobile hotspot, you and your passengers can retain access to all your favorite sites and sources of information. This feature is standard on both Elite and Touring models. 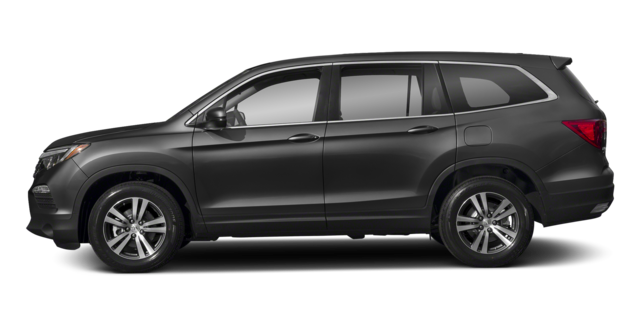 Take the 2019 Honda Pilot for a Test Drive! It’s never been easier to get all the features you desire in Honda’s celebrated three-row crossover. 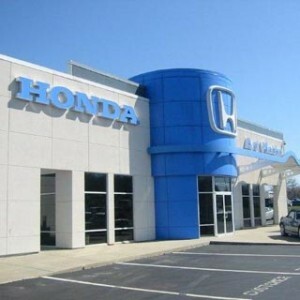 The Honda Pilot’s standard features make it the standout option in its segment, and when you take advantage of our current offers, you can bring home your favorite model for a price you won’t believe. 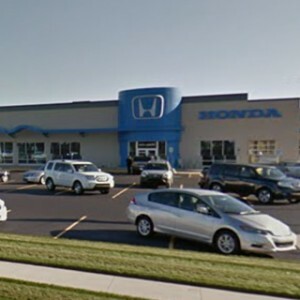 Get in touch with your local Mid-Michigan Honda Dealer today to take one of the Honda Pilot’s trim levels for a test drive!